I’ve been experimenting with various burger patties, not only because they are delicious to eat, but the patties are great snacks to have for children in lunch boxes, as well as for adults to nibble on. In a large mixing bowl (either manually or with your kitchen mixer), mix together the mince, ricotta onion, capers (I chopped finely, but can use whole) & rosemary (I also chopped finely). 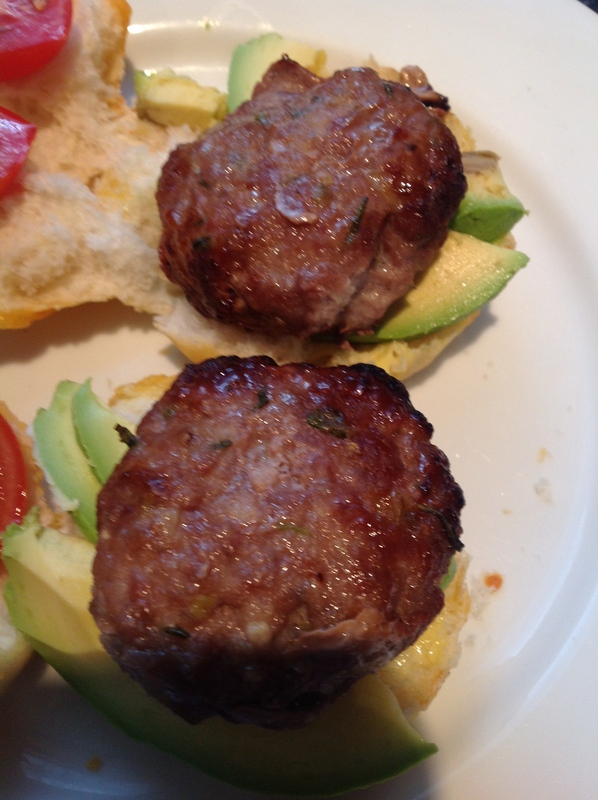 Make into balls, flatten with the palm of your hand (makes approximately 8 medium size patties). This now can be frozen or can be fried/baked. Fry in coconut oil in the frying pan, approximately 8 minutes on each side, but this is dependent on the thickness of your patties. For the relish, chop the sundries tomatoes and mix with a little bit of the marinade, and add the vinegar and season with salt & pepper, if necessary. Assemble, by putting the patty on the hamburger roll, with a dollop of relish. Add any other toppings & condiments like mustard etc, according to your personal preference!